Usecases across industry verticals by changing the pipelines and models. Connected cars, IOT solutions for Industrial automation, Smart Metering, Oil and Gas to name a few. 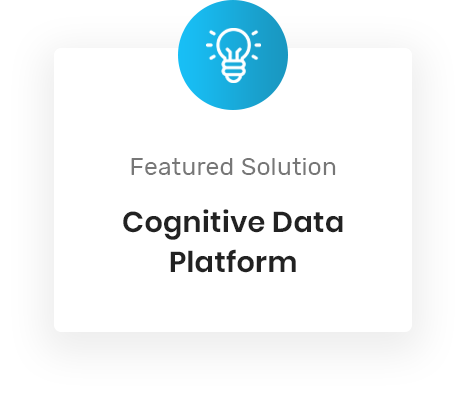 Sentienz Cognitive Data Platform is fully automated self serve platform with assets and accelerators built using popular open source software (OSS) components. 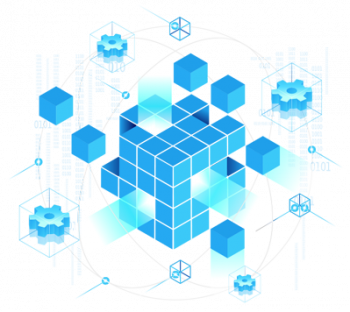 This allows clients to deploy massive big data initiatives at a fraction of the cost and time ordinarily required with conventional approaches. It has highly intuitive visual interfaces to build real-time pipelines with connectors to hundreds of data sources and provides an array of AI engines to clean, process, transform and enrich data during ingestion to processing to modeling to Visualization. 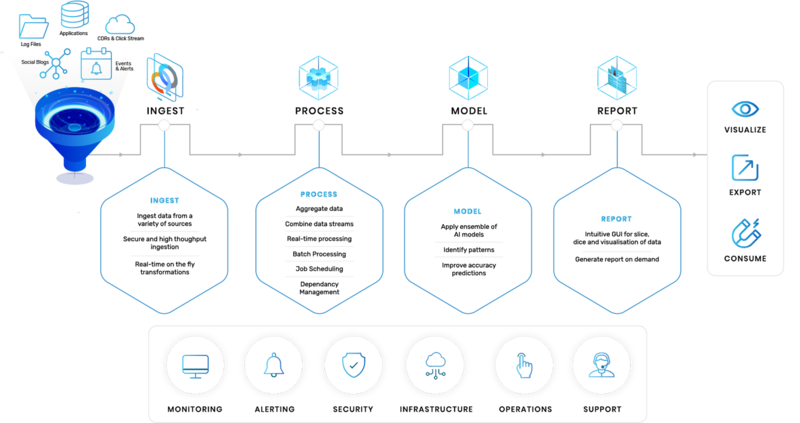 The Sentienz Enterprise Accelerator also provides a visual analytical modeling system that supports analytics, machine learning and AI, with easy integrations to automated machine learning platform like Data Robot and H2O.ai.